Comprehensive training and exam preparation to achieve Lean Six Sigma Green Belt Certification with the International Association of Six Sigma Certification (IASSC) – the most highly regarded independent global Green Belt Certification. This course is very comprehensive and doesn't require any pre-requisite training. You will learn the foundation skills and develop up to the Green Belt level as part of this intensive 5-day course. However, this training does move quickly and covers a lot of in-depth information in great detail. For participants focused on Certification preparation, it is important to know that the IASSC Global Certification is exam based. Which means you can sit the exam and become certified as soon as you have successfully passed the exam which is based on global benchmarks. Please click on the Public Class tab below to view our Lean Six Sigma Green Belt Certification course schedule by city or click the In-House Training tab to receive a free quote for courses delivered at your preferred location. Tailored Training and reinforcement the way you like it - see the difference for yourself. The PD Training/IASSC authorised training materials are much more than simple ‘tools training’. This curriculum is formatted in such a way that the problem-solving strategy is demonstrated throughout the course. 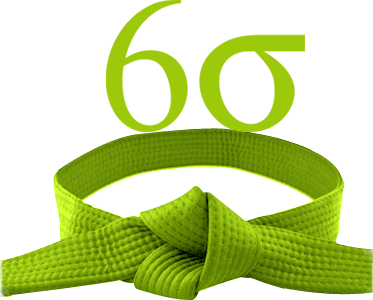 By utilising various Statistical and Business Improvement tools, you will be able to clearly see and communicate the flow and process of the methodology in order to instill both the tactical and strategic aspects of the LSS Green Belt skill set. The implementation roadmaps within each phase provide you with a clear line-of-sight for putting into practice the problem solving technology. Various group exercises, utilising training aids, pre-formatted data sets and templates, facilitate interactive group learning within the course. These IASSC authorised training materials are the industry standard used by thousands of industry trainers, coaches and mentors to train Lean Six Sigma Green Belts around the world. LSS Green Belt Define Phase - The Define Phase of the DMAIC methodology is constructed to introduce the fundamentals of Lean Six Sigma. LSS Green Belt Measure Phase - The Measure Phase of the DMAIC methodology is constructed to introduce important Lean Six Sigma tools for characterising your business issues. LSS Green Belt Analyse Phase - The Analyse Phase of the DMAIC methodology is constructed to introduce important Lean Six Sigma tools for isolating critical factors. Explain the meaning of the term "Inferential Statistics". Describe the basic tenets of the Central Limit Theorem. Describe the impact of sample size on your estimates of population parameters. LSS Green Belt Improve Phase - The Improve Phase of the DMAIC methodology is constructed to introduce important Lean Six Sigma tools for properly controlling solutions. 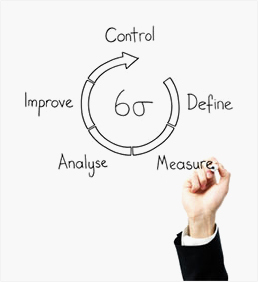 LSS Green Belt Control Phase - The Control Phase of the DMAIC methodology is constructed to introduce important Lean Six Sigma tools for properly controlling solutions. 3-hour power sessions are targeted and flexible around your operational needs. Full day courses delivered with a strong focus on activities and participation.No death by PowerPoint here! We can run workshops or provide keynote speakers. Let us provide the highlight of your conference. The course is tailored to their goals - and the needs of the participants. The trainer consults with the manager before each class, and tailors the course based on the goals of the manager AND the participants. They get great feedback, and their staff get skills they can use right away. The training is full of activities to make the day fun, and reinforce the concepts. People learn more and give great feedback. Orgmenta experience is not only 'cool' it is a richer learning experience. Orgmenta gives training initiatives 'a buzz' and achieves better outcomes. The training tends to 'stick' because of the wide variety of reinforcement and support options available on-demand through PC's and mobile devices. Costing, planning, administering and reporting on training is easier and faster than ever before. The Training Management Centre takes training administration to the cloud, and improves reporting and transparency like never before. Accessible from Windows, iOS and Android devices. How do we achieve all that? We make it really simple and easy - it's technology that empowers instructor-led training like never before. We call it the i-pecc model , incorporating Orgmenta . If you are going to take time out of work, and pay for a course, would you prefer to receive John or Jenny’s experience? As an Accredited Training Organisation for Six Sigma, PD Training will offer you the opportunity to take an assessment at the end of your class that validates your knowledge and understanding of this Lean Six Sigma belt standard – mapping to the corresponding IASSC Belt Certification. Our training, and post course assessment prepare you directly for the International Association of Six Sigma Certification Exams (http://www.iassc.org/six-sigma-certification/) . Successful completion of these exams will provide you with the only independently administered global Six Sigma credential.